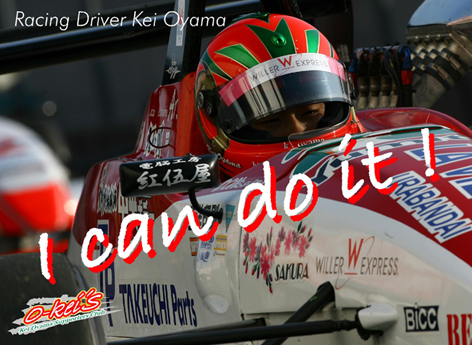 2008年12月: I Can Do It !! Thank you for everybady. I could finished My 2008 race activeties thank to everybady. This year, I couldn't win anymore. I disapointed and lost my confidence. But My suporters and sponsors encouraged me. so,I could bilieve in myself, my posibility,my ability. I could have stronger mind than before. Dec.13,14 S-FJ masters race, I could get a new course record and I was relieved that what I did in this year was Not mistakes. All What I experiences in this year turn to my confidence!! I don't know this confidence will be accepted to new step.But I just bilieve in myseif. I'm sure that I'll be able to do good races in next year. I thank my suporters,sponsors,my family,freinds,my team ZAP SPEED. Please suport me 2009 year ,too. I'll do my Best of Best!! Advance happy new year!! Thank you so much. 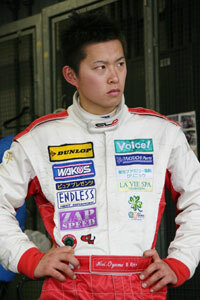 Oyama Kei. All Rights Reserved.